Orange and Groupama have signed a deal to establish a joint company, Protectline, that will operate in the home telesurveillance sector. This partnership will strengthen Groupama’s existing activity in the sector and will allow Orange to become a fully-fledged player on this market, taking a new step forward in its multi-service operator strategy. The deal between the two groups, which was signed in January 2019, establishes Protectline as a joint platform for the operation and management on home telesurveillance services. Orange holds 51% of the company’s capital and Groupama holds the remaining 49%. By working together through a joint platform, Orange and Groupama will each retain full control of the distribution of their respective offers over their own retail networks and using their own brands. 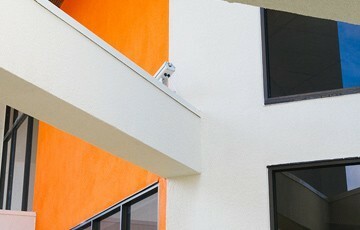 Groupama is a well-established player in this segment with extensive expertise in the field of home telesurveillance. The company provides offers ranging from mass-market to tailored solutions with a particular focus on the quality of the equipment, installations and services. Within the framework of this partnership, Groupama will contribute (via its subsidiary Confitex 6) its skills and knowledge in this sector, its logistics centre, its state-of-the-art IT system, its network of installers and finally its ability to oversee the entire value chain. Through this partnership, Groupama is set to strengthen its presence in the telesurveillance market by increasing its ability to cooperate with industry leaders in their market. Orange will launch its own home telesurveillance services on the consumer market in the Spring of 2019. These offers will be available for both fixed and mobile customers in France. Orange aims to take a strong position in the market, building on its subscriber base, its brand, its physical and digital retail networks and the expertise of Proctectline.